The Cardamom name and reputation has become synonymous with trust, care and a sprinkling of fantasy. 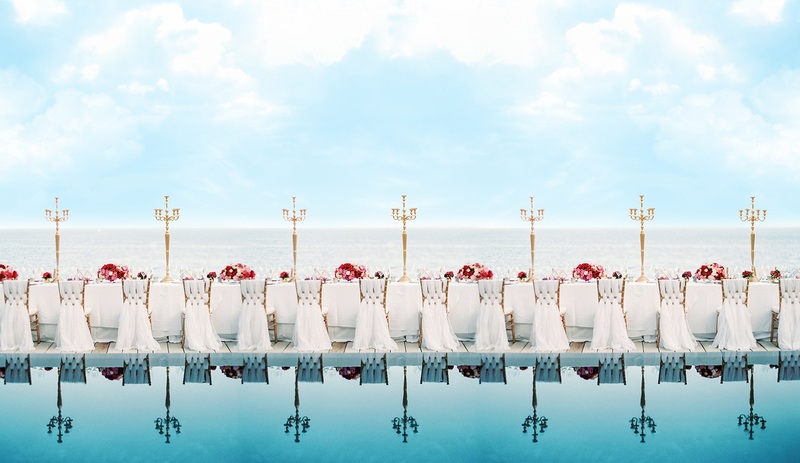 We have everything covered and take pride in being recognised as one of the most established bespoke wedding planners Ibiza has to offer. The Cardamom team completely took away the stress of planning our wedding abroad, which was invaluable to us! I knew that I could trust them to keep me updated with all the important decisions, as and when was necessary, but I never felt bombarded or overwhelmed by them. They took the pressure off me, so that I could focus on other things like family and friends which was amazing and for this I will be forever thankful. Cardamom have solid experience and a list of fantastic suppliers/contacts that I would never had known about if it weren't for them. On the actual day of the event they worked so hard to make our dream a reality and instead of us worrying about timings etc… Cardamom took that worry all upon themselves and allowed my husband and I, to truly enjoy the most memorable day of our lives with our friends and family. Every single one of our guests said it was the best wedding they had ever been to and we happen to agree with them! I thoroughly enjoyed using Cardamom Events so much so, that I would consider my wedding planners good friends now and would hope that we stay in touch until they plan our next event. When we decided to get married abroad in Ibiza we were worried about having everything go smoothly on our big day. Luckily we discovered Cardamom Events and were very impressed with the correspondence with them, specifically Lais. They were very accommodating and helpful with any requests we had. As our event was approaching we had some last minute changes to our decor and guest list, which again they were very easy to work with! On the big day, they did an amazing job, going above and beyond to make sure everything went as planned. We were all thoroughly pleased with the quality of service and food provided. Many guests including myself agree that the food was some of the best we had on our trip and the best food we’ve ever had at a wedding! Everything was fresh and delicious! I highly recommend Cardamom Events for any upcoming events you may have! Cardamom Events bring something completely new and different to the table. They have the creativity, people network and execution skills to make an event very extraordinary and beautiful at the same time. Cardamom help you create your vision of your idea but more importantly bring own ideas to the table to make the concept even stronger. They are extremely professional, but also very humble and flexible at the same time. They not only come up with great ideas, they also have the capability of making them all happen. We felt very comfortable working with Cardamom during the whole process in order to have stress-free event with high demands at a very exotic location. They have created life long memories for our friends and families. Woah! Thank you so much for creating an amazing environment for us to celebrate our wedding. Everything was great, we had so many compliments and I think a lot of our friends are going to get a wedding planner now, shame that they are not getting married in Ibiza they would have rushed to your door! A lot of people have commented on how all the staff was helpful, discreet, profesional and friendly. Katia was fantastic, hands on and always calm even when we had no water! Anna was very kind and her attention to detail made a big difference. Jon Michell was a great success, everyone loved him and the ceremony was spiritual and exactly what we wished for. The food yummmm, the food, again lots and lots of compliments, light and delicious, we've been told it was the best food ever consumed at a wedding. Borja and his team were very friendly and discreet, we can't wait to see the video! And the entertainers were amazing and the dancefloor was always full! So yes, everything was great on the wedding day, same for the pool party and we've been told by many of our guests that this has been the best wedding ever so we can only thank you for advising us well, making great choices for us and guiding us through this as only a few months ago Sammi and I didn't have a clue where to start! We always felt that we were in good hands with you guys and you've done a brilliant job. Regarding the anniversaries, there's already been some requests so be sure that we will be contacting you one day, hopefully not in too many years!